A Powerflush is a cleanse your entire central heating system, removing deposits of sludge, rust and any other debris from the system therefore increasing the efficiency and longevity of your boiler and heating system. Over time the water in your pipes, boiler and radiators deposits unwanted by-products like rust. This rust (plus other dirt and debris) becomes an unpleasant, mud-like substance which is generally referred to as ‘sludge’. These contaminants in your heating system can severely affect the efficiency and longevity of your boiler and heating system by causing both blockages and corrosion which will eventually lead to your boiler breaking down. 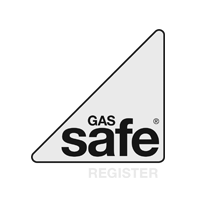 In extreme cases it can be so damaging that a complete boiler replacement is needed. There are signs to look out for which suggest that all is not well in your central heating system. If any of these problems sound familiar to you, it’s time to contact us. While a Powerflush may be all that is required to get your heating back on track, unfortunately it is not always that simple. A system may be so damaged that it is actually cheaper to replace rather than repair your boiler. Our engineer will happily come and assess your system and provide you with genuine advice on the best options for you at the best possible price. IMPORTANT: If you are planning to replace your boiler it’s important a Powerflush is carried out before the installation. Otherwise, you risk contaminating the new boiler with damaging sludge and debris that’s currently settled in and around the old pipework.